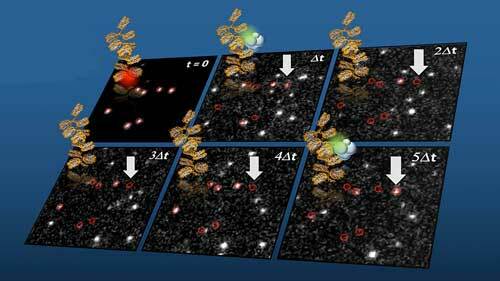 (Nanowerk News) Scientists at EPFL and Max Plank have made significant discoveries on how developmental genes are controlled by the methyltransferase enzyme PRC2. The study is published in Nature Structural & Molecular Biology ("DNA binding by PHF1 prolongs PRC2 residence time on chromatin and thereby promotes H3K27 methylation"). Polycomb repressive complex 2 (PRC2) is part of a larger system of proteins that work together to repress the expression of developmental genes. PRC2 does this by adding up to three methyl groups to a specific lysine amino acid (lysine 27) of the histone H3 protein. Trimethylation (three methyl groups) of lysine 27 in particular is important, as turns off the expression of specific genes during development. Such gene repression requires a high concentration of lysine 27 trimethylation within defined chromatin (DNA wrapped around histones) regions, since mutations that prevent this process result in developmental defects or cancer. For maximum activity, PRC2 needs further "accessory factors", which vary between species. In humans, a main accessory factor is PHF1. Now, the labs of Beat Fierz at EPFL and Jürg Muller at the MPI combined chemical biology, biophysics, and structural studies to identify the mechanism by which PHF1 increases the activity of the PRC2 enzyme. The scientists used single-molecule fluorescence imaging to directly observe human PHF1-PRC2 complexes interacting with synthetic chromatin fibers in real-time. These experiments revealed that PHF1 proteins anchor PRC2 on chromatin, increasing their local activity. Structural analysis showed that PHF1 contains a previously unknown DNA-binding domain whose interactions with the nucleosomal DNA is critical for anchoring PRC2 to chromatin and for increasing its activity. Essentially, this DNA-binding domain is the key to efficient gene regulation across different species. As the authors write: "...a major part of the binding affinity of PRC2 for nucleosomes comes from interactions of the complex with DNA." The authors draw three conclusions from the findings: First, that the binding affinity of PRC2 for chromatin substrate is determined by its interactions with DNA. Second, that increased anchoring of PRC2 to chromatin via PHF1 depends on a newly identified structural unit in PHF1. And third, that stable PRC2 chromatin interactions, mediated by PHF1, are key for increased lysine trimethylation in chromatin - and thus for gene repression. 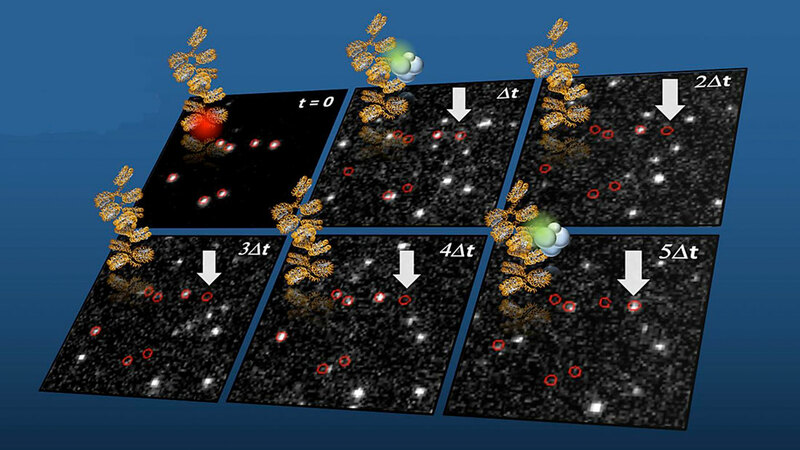 "We are excited by the ability to combine chemistry and imaging to observe fundamental molecular processes on the single-molecule scale and in real-time," says Beat Fierz. "These approaches really provide new avenues to understand biology with chemical precision, as demonstrated here for PRC2-dependent gene regulation."